Apartments B&D are situated in a family house in a quiet street. Distance from the beach is about 500-600 m – concrete beach and pebble beach. 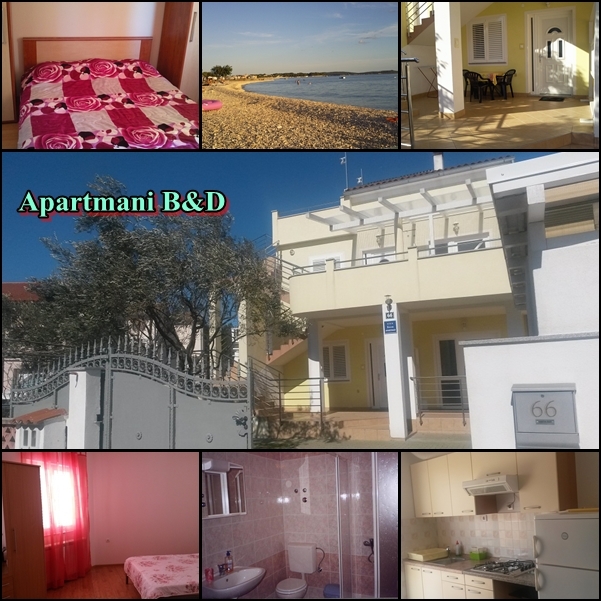 There are 4 apartments available, 2 apartments are located on the ground floor of the house and 2 on the first floor with view on the sea and Ireland Brijuni. Apartments are fully equipped. Fazana is a coastal town (near Pula 7km) in the south-west of the istrian peninsula, opposite the Brijuni islands. Beautiful beaches, clear sea, Mediterranean climate and lush vegetation have contributed to the development of tourism in Fazana, whose inhabitants have always been known for their hospitality. Welcome, you will spend a nice vacation.